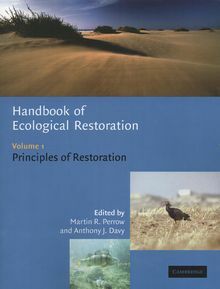 An invaluable resource to anyone concerned with the restoration, rehabiliation, enhancement or creation of habitats in aquatic or terrestrial systems, throughout the world. Principles of Restoration defines the underlying principles of restoration ecology. Softcover, 444 pages, b/w photos, illustration, figs, tables.